John Shawe-Taylor obtained a PhD in Mathematics at Royal Holloway, University of London in 1986 and joined the Department of Computer Science in the same year. He was promoted to Professor of Computing Science in 1996. He moved to the University of Southampton in 2003 to lead the ISIS research group. 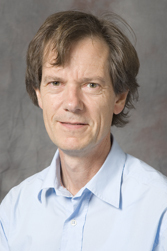 He was Director of the Centre for Computational Statistics and Machine Learning at University College, London between July 2006 and September 2010. He has coordinated a number of European wide projects investigating the theory and practice of Machine Learning, including the PASCAL projects. He has published over 300 research papers with more than 25000 citations. He has co-authored with Nello Cristianini two books on kernel approaches to machine learning: ‘An Introduction to Support Vector Machines’ and ‘Kernel Methods for Pattern Analysis’.